Ram created a the high-end Laramie Limited model designed to appeal to upscale pickup buyers. 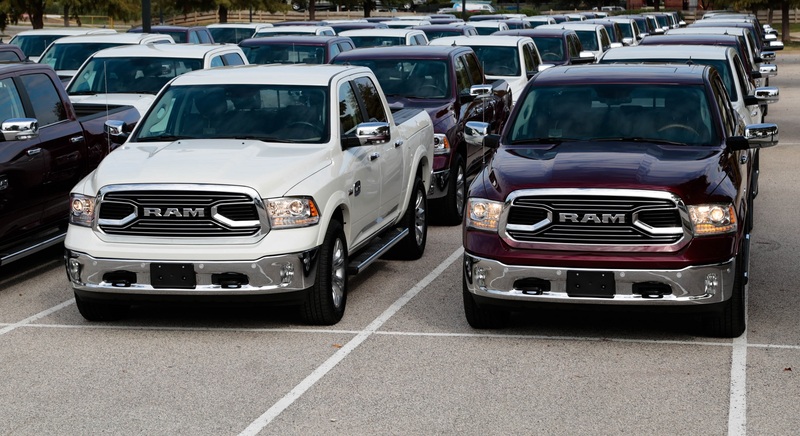 Ram has updated the 1500 series pickups with a number of special trims and features, including some new attributes for the Laramie Longhorn for 2017. 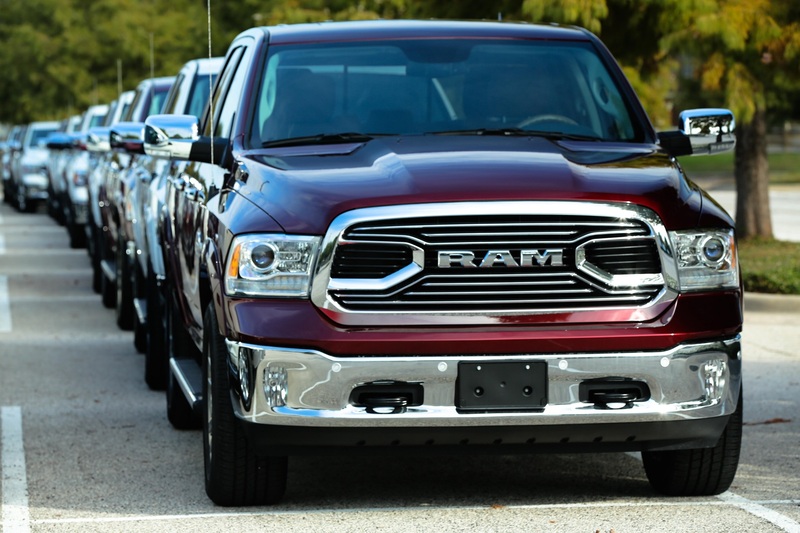 We were able to drive the 2017 Ram 1500 Laramie models. It is distinguished by an updated front grille design with prominent badging, as well as premium wood and leather materials that tailor the interior. It has also recently received a new frame and body modifications to improve its Insurance Institute for Highway Safety (IIHS) small front overlap test scores. 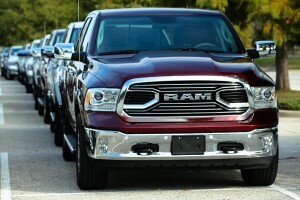 Ram’s Laramie Longhorn gets updated looks with a new southwestern-themed grille and added features for both the Longhorn and the upscale Limited models that come in 1500, 2500, and 3500 capabilities. Longhorns get new bright-chrome grille with “RAM” lettering and chrome belt moldings. 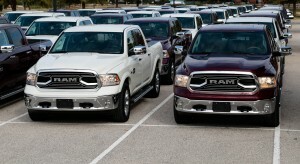 Ram 1500, 2500, and 3500 Longhorn models also add standard Keyless Go, SmartBeam headlights, and rain-sensing wipers. Limited models can be ordered with black “RAM” tailgate letters, with Brilliant Black or Granite Crystal Metallic paint ($195). 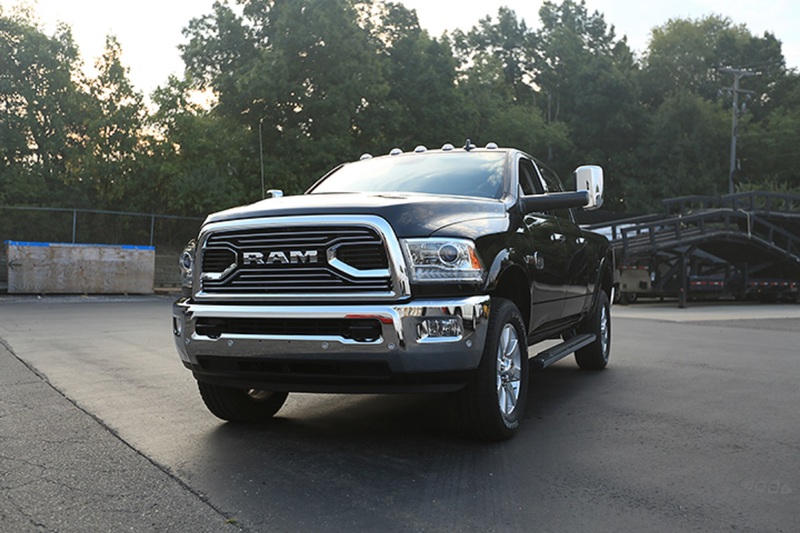 The Limited’s novel billet port grille breaks from the long tradition of crosshair styling with bold “RAM” lettering; it can now be ordered with black “RAM” tailgate letters, with Brilliant Black or Granite Crystal Metallic paint. Illumination comes from premium bi-function automatic halogen projector SmartBeam headlamps with chrome surround up front, and chromed taillamps with LED turn/stop/running lights out back. Underneath are standard 20-inch aluminum, satin carbon premium painted face, multi-insert wheels with chrome accents wrapped by BSW all-season tires, or unique 20-inch forged multi-surface aluminum wheels wrapped in OWL all-season tires. The interiors of both trucks are the apex of modern luxury with plush details like subtle stitching accents, elegant pinstriping, and modern and distinct patterns. The console bin houses a cellular phone and tablet holder, which can be concealed with an innovative sliding door. The Limited’s silver pinstripe theme runs through the wood and a satin chrome handle rolls the door open. Solid black premium Berber carpet inserts can easily be removed from the floor mats to reveal practical double-duty slush mats; the headliner and pillar-trim are black, as well. The cockpit is wired with a cache of communication and technology features, including an 8.4-inch Uconnect system with 3D navigation, a standard rearview camera system with dynamic gridlines, and ParkSense front and rear park assist system, as well as steering-wheel-mounted audio controls and Bluetooth connectivity for hands-free phone, streaming audio, voice command, and text message reader. Remote keyless entry provides access to doors, tailgate, and RamBox (when equipped), plus remote start, illuminated entry system, and engine immobilizer security system with panic alarm. The Laramie Longhorn and Limited are available in six-passenger Crew Cab body style (five passengers with the available bucket seats), with a choice of a 4×2 or 4×4 powertrain, as well as 5-foot, 7-inch bed set on a 140.5-inch wheelbase or a 6-foot, 4-inch bed on a 149.4-inch wheelbase. Crew Cab models sport a power-sliding rear window with a backlight, and a standard locking, removable tailgate with lift assist. 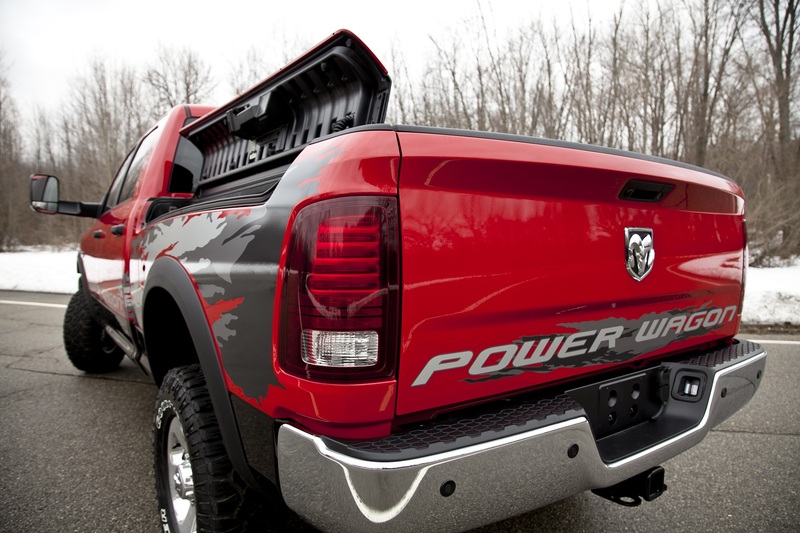 Hard-core users with the need to carry goods and gear in the bed will appreciate the optional RamBox cargo management system, which includes lockable and drainable weatherproof integrated storage bins and rails with four adjustable cleats and a dual-purpose bed divider/extender. Standard is a 5.7-liter HEMI V-8 with variable valve timing that produces 395 horsepower and 410 lb.-ft. of torque; mated to an eight-speed TorqueFlite transmission with a center stack rotary shifter this combination delivers 15 mpg city/22 highway mpg fuel economy. Optional is a 3.0-liter turbocharged EcoDiesel V-6 engine paired with an eight-speed automatic transmission with center stack rotary shifter, which creates 240 hp and 420 lb.-ft. of torque and brings 21/29 mpg. When properly equipped, maximum trailer weights range from 6,760 pounds up to 10,090 pounds, depending on powertrain and box size. We concentrated our drive on the 4WD Laramie Longhorn EcoDiesel. Cowboys and ranchers would be thrilled with not only its interior and exterior styling but also with its industry-leading fuel economy and 4WD capability. The combination of its plentiful power and torque, its intelligent eight-speed transmission, 4WD gearing, and air suspension allowed it to crawl over rough and rugged terrain and also to ascend and descend steep tracks with excellent traction and comfort. Manufacturer’s suggested retail pricing for the Ram Laramie Longhorn starts at $51,295 (plus $1,195 destination). TURNING CIRCLE (curb-to-curb) 45.5 ft. This entry was posted in Truck Talk. Bookmark the permalink.